Best party beach on Koh Phi Phi is Loh Dalum beach in the main Phi Phi Don Village. This north facing semi-circular beach has the best happening beach bars on the island. Slinky Beach Bar, Apache, Hippies Bar and The Stones Bar make up an ideal sea front to party the nights away. 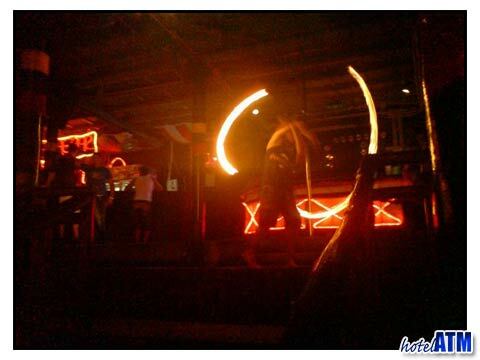 The Best party beach on Koh Phi Phi, Loh Dalum beach has all you need for a great night. Bars like the Slinky Beach Bar have great entertainment, great music, loads of fun people and that ever present feeling of sand between your toes. Added to that, a cooling swim when you the dance is too hot and dawn in paradise, and then you have to ask, why go anywhere else. Most nights kick off in the bars like The Dojo in the centre of town where there are many restaurants of all hues, from simple and in expensive to smart fine dining. As the night fills with excitement people move to the beach to take in the fire shows that the bars offer. This is mesmerizing. Hanging out and watching the pyro-acrobatics is very cool. The mood increases, the tunes pick up and before you know it, it's time to get up and dance. The buzz, the freedom, the feeling that this is The place to be, kills off any feeling of wanting to go to bed. You are there for the night!. The best party beach in Thailand also holds a further ace up it's sleeve. When you wake up in the morning you are still where it is all happening as the island is so small it's easy to catch up with those you met the night before and trade a story or two down on the same beach where you were at night. There are also many great activities to do on Phi Phi. Some of these, like the Maya Bay Camping and the Phi Phi Party Crew carry on the theme of party but on the remote beaches of Phi Phi. The Maya Bay Camping leaves the main village on Phi Phi Don at 4pm with a huge group and swims, snorkels and kayaks it's way around Phi Phi Ley and sets up on the world famous Maya Bay. For many, this enchanting setting, this laid back party, is the highlight of their trip to Phi Phi. 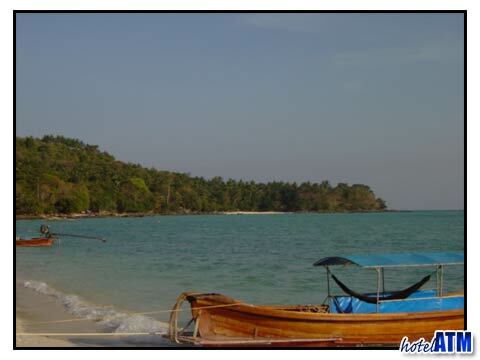 Best party beach on Koh Phi Phi compares favourably with the party scene and Full Moon Party in Koh Phangan because it is smaller, less intense, and more intimate. Phi Phi is a micro island compared to Koh Phangan, so while Phi Phi is concentrated and buzzing with the right crowd it doesn’t get overrun just on the party ticket. During the full moon, the moon rises behind the hill and appears around 10pm making a magical sight, lighting up Lodam Bay in a series of outlines and shadows and sparkling water. Accommodation on the best party beach on Koh Phi Phi is varied from the smart 4 star Phi Phi Island Cabana Hotel to the popular, 2 star with pool PP Casita or the the Phi Phi Anita Resort which is right behind the beachfront bars. Phi Phi Don Village has over 40 Resorts, hotels, hostels, guesthouses and dormitories so there is always something for any budget or style.